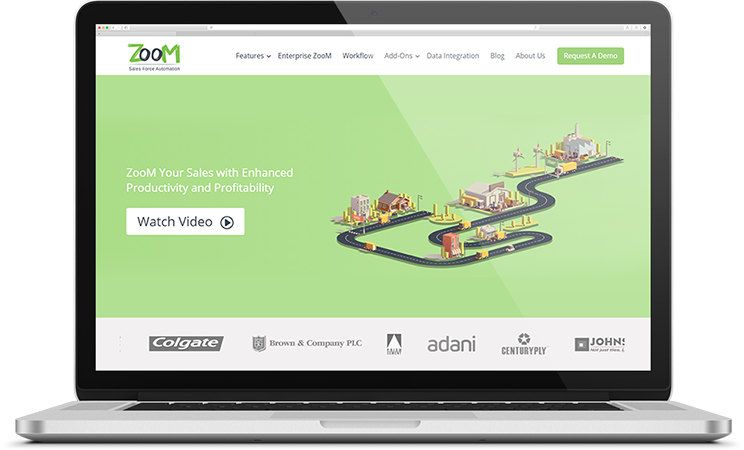 ZooM Mobile Sales Force Automation is SPEC INDIA’s distinctive solution to help enterprises automating the activities of the sales force. It is designed to streamline routine processes of the customer executives, sales representatives on the field. Powered by WordPress, this website offers seamless user experience through the quality content, appealing graphics, product videos, and presentations to make users understand the powerful features of the solutions. It also displays different plans, a graphical representation of workflow, and insights from the community to stay updated. It also serves as a marketing platform to spread awareness about the solution.